CHRISTINA MEREDITH is a foster care activist, mental health advocate, national speaker, and the founder of the nonprofit Christina Meredith Foundation. A former homeless foster youth who was later named Ms. California, Christina today dedicates herself to protecting children from abuse and advocating for foster care reform. Christina concurrently serves in the US Army. We all know the story of Cinderella... a young girl who is treated awful by her evil stepmother. A fairy tale, a work of fiction. Sadly, for some that fairy tale rings all too close to the truth. This was certainly the case for former Ms. California Christina Meredith. Growing up, she was the Cinderella in her family. From the time of her birth, her mother simply did not like her and treated her horribly, abusing her physically, emotionally and verbally. As a mother, I cannot even imagine... but this was her reality. 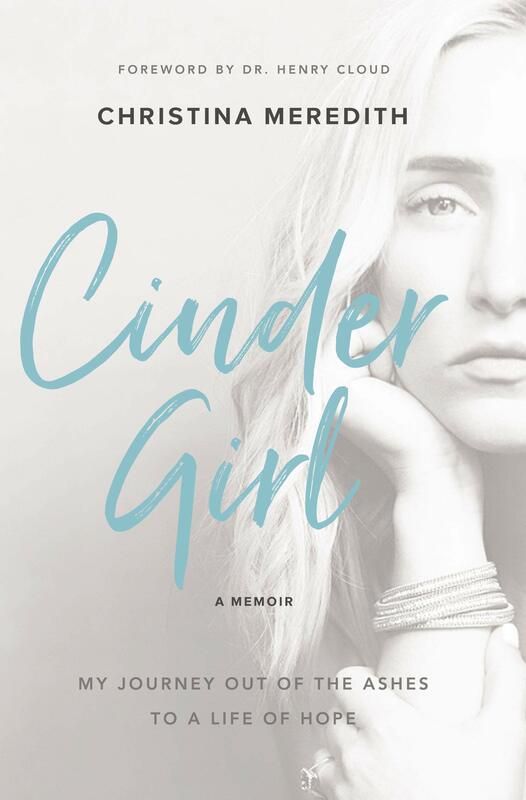 In her memoir 'CinderGirl', Christina Meridith shares her heartbreaking story of growing up with her mother, foster homes, etc. Let me be completely honest and say that this is a TOUGH book to read. She speaks very openly and honestly about the abuse she received not just from her mother, but others in her life too. It was horrifying. You may want to keep a box of tissues handy. I could not even imagine how anyone who could be treated the way she was treated and survive it. In addition, it does deal with sexual abuse which could be triggering for some. As difficult a read as it might be, it was eye opening nonetheless. It was also a story of hope that no matter the circumstances we are placed in, God is there with us. Through the ashes, He can bring us through with a purpose. If you are looking for an easy, lighthearted read, well, this isn't going to be it. However, if you're looking to learn more about the changes that need to be made in our foster care system, or for a reminder of God's love through all circumstances, this is a great read that is worth checking out. CinderGirl is available to purchase at your favorite Christian book retailers.